Ooh la la! 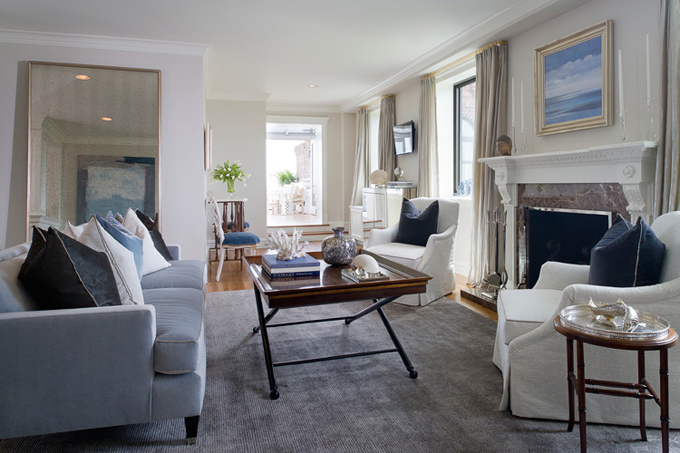 I can’t get enough of these rooms from the portfolio of Stamford, Connecticut interior designer Tiffany Eastman! 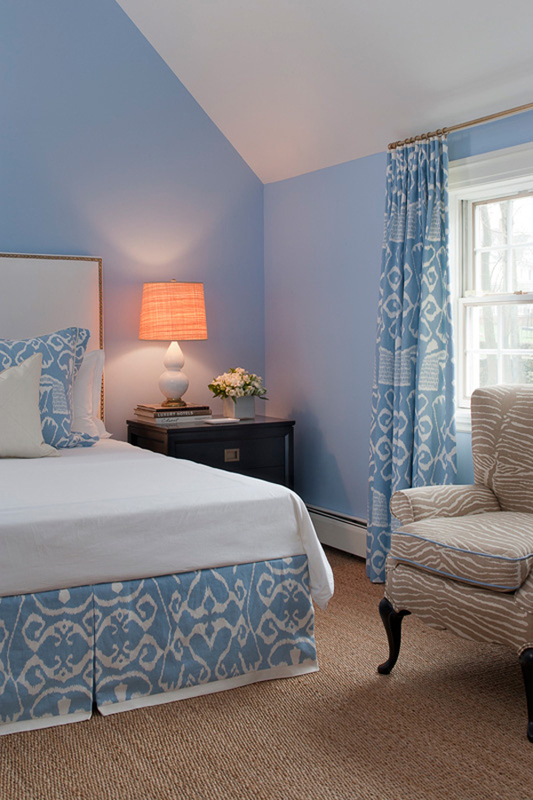 Some rooms so subtle and serene with their color, others more bold and fun, but all so chic and sophisticated! 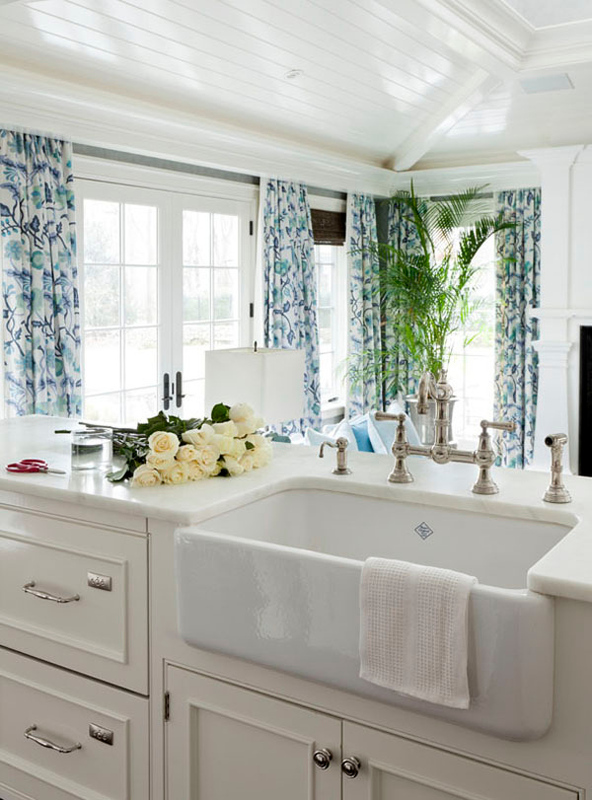 I love her choices of floor coverings and fabric in every room, but especially the kitchen/family room with “Potalla” from Alan Campbell on the windows. (I’m currently having pillows made for our deck with that design!) I only wish I had that Oly shell chandelier coming my way too! 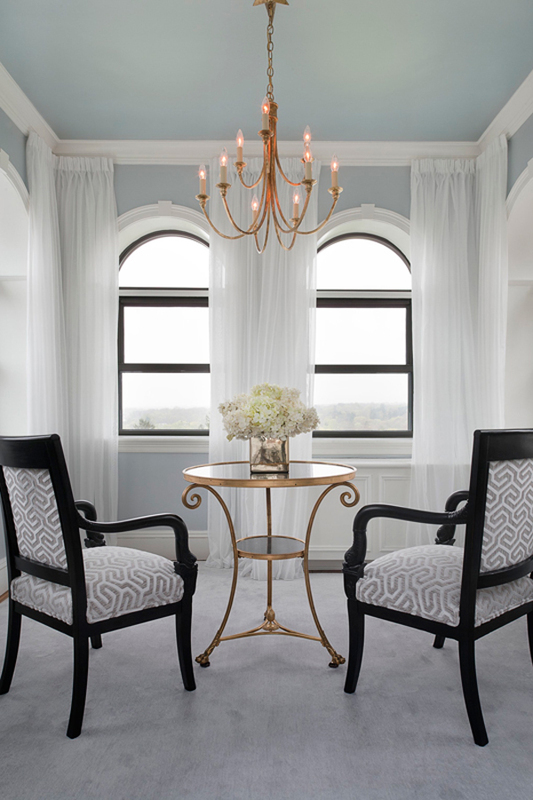 See lots more fabulous rooms designed by Tiffany right on over here! Congrats Alana!! You’ll have to let us know what wallpaper you choose, and please send pics! I’m sure we’d all love to see! I hope you guys have an awesome SUMMER weekend!! Yay! 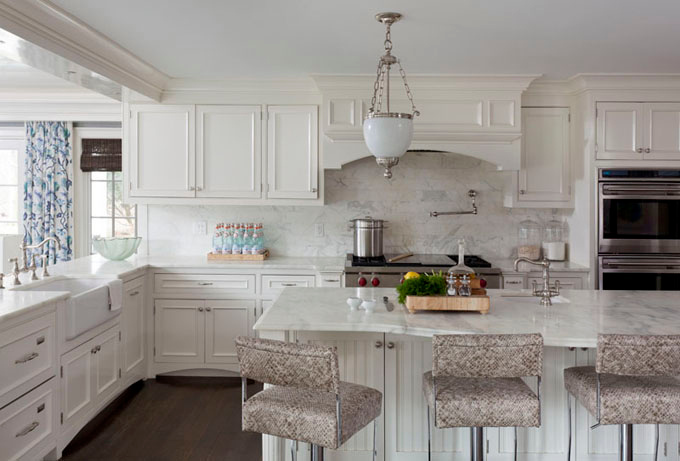 « Virginia Kitchens + Harry Braswell Inc. I loved TURQUOISE before I started following your blog….. but now, oh girl I'm in love with this colour. 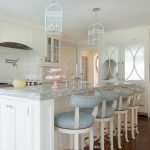 THIS is my dream kitchen/family room look. These rooms are absolutely the Best! I am going to Tiffany's site ASAP. I couldn't agree more with Patty. Thanks Erin for highlighting some great designers that love turquoise as much as you!! Have a great weekend! I absolutely love those graphic prints! 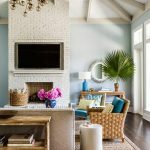 every room is so perfect – and I love all the coastal elements. Have a great weekend, Erin! 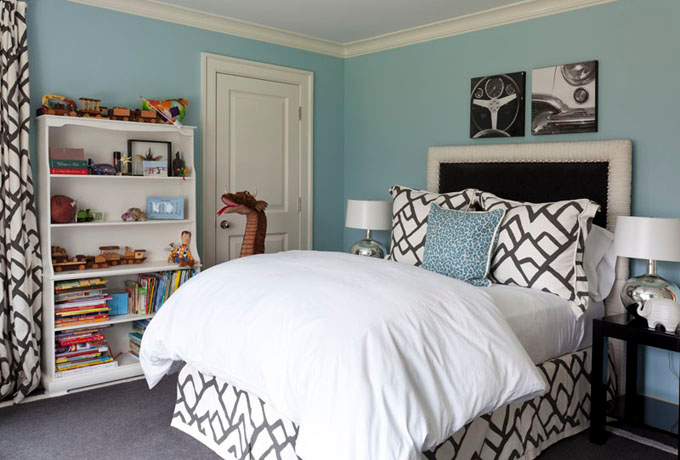 I love the periwinkle bedroom and the snake print on the stools is fun too! Lots of great details! In the first photo, the coffee table is one that I have always wanted. (With a marble top). Gorgeous image. These are gorgeous rooms. Thanks for sharing! 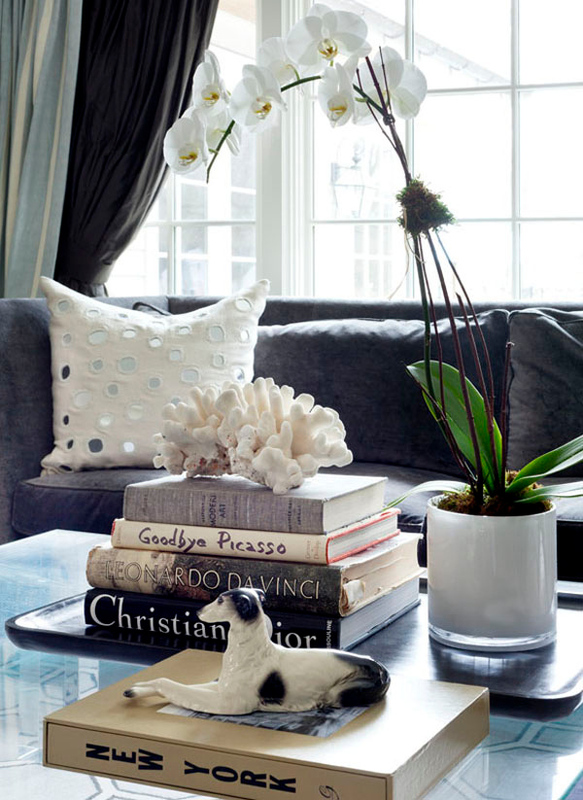 Stunning Tiffany Eastman Interiors Photos.